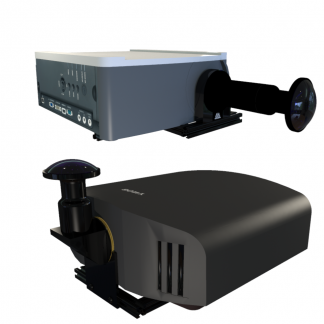 Our OmniFocusTM fisheye projection systems dramatically increase the overall simplicity and flexibility of immersive environment design, with the pragmatic benefits of choosing fisheyes over conventional multi-channel systems. We now offer edge-blended multi-fisheye systems for larger domes with ultra-high resolution, as well as stereo options. 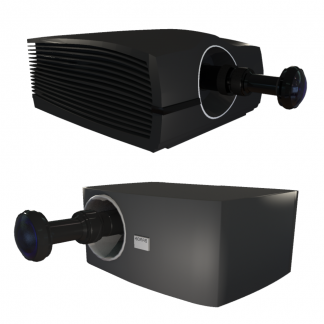 Our leading projection systems, with options for high brightness, high resolution, and laser light engines. All 200 Series systems are available with folded optics for compact installation options.